Use the Community Connector Codelab to get started with Community Connectors. The Codelab provides a step by step guide to building your own community connector and can be completed in 15-30 minutes. 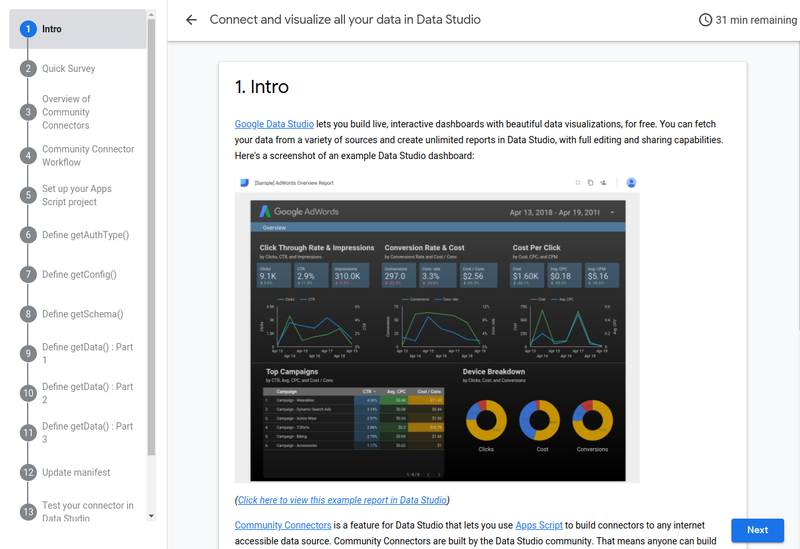 Join the Data Studio Developer Community to stay up-to-date with developer features announcements. If you need ideas for building a Community Connector, view the Data Sources page for a list of data sources along with available connectors, developer interest, and user interest.